Yayyy Yayyy I was so happy and honored that I got to witness baby Chaney, also known as "Baby Sunny" come into this world for this adorably, sweet family!! You may remember Rebecca and Matt's maternity session not too long ago; even their precious kiddos, Baron and Porter joined in on the fun!! Well the kids called baby, "Baby Sunny." 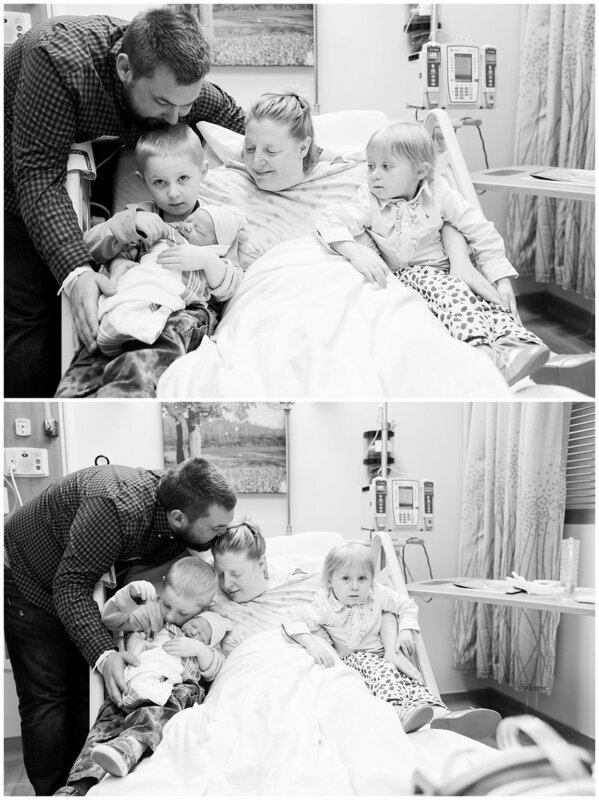 Rebecca and Matt chose to keep the gender of this pregnancy a secret and let the whole family be surprised when "Sunny" decided to make his or her debut! Well the day finally came; I rushed to the hospital with so much excitement because I just could not wait to see what "Baby Sunny" really was!! Now, I can be excited for anyone else that decides to keep gender a secret, but I personally could never do it!! I would be chicken, I would peak every single time I had that ultrasound, so I give props to all the women out there for sticking it through those 40 weeks and remaining to keep it a surprise! eeeekkkkk..
okay okay okay.... I arrive and "Baby Sunny" is a BOOOYYYYYY!!! A precious wittle boy, wrapped up as tight as a can be looking like a sweet little burrito, I could just snuggle him all day!! yayy!! I got to capture Baron and Porter's reactions when they greeted their "Baby Sunny", now baby brother for the first time!! Needless to say, it was priceless!! Baron so excited for baby brother, Porter not so much. But, from what I hear she is warming up to the idea of him!! 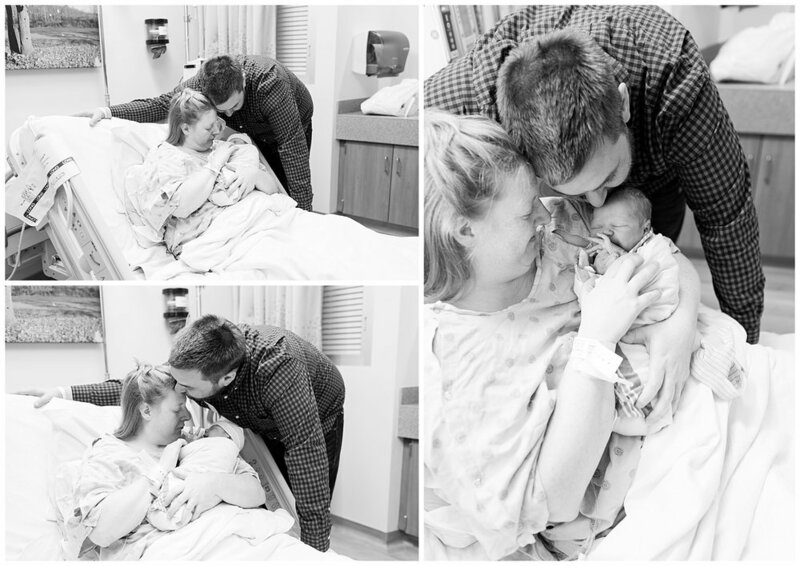 Congratulations Chaney Family!! WILDER WELLINGTON LENNOX CHANEY!! Welcome to the world sweet baby boy! !